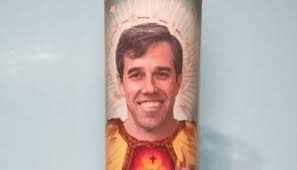 Beto O’Rourke …The early New York City times…. Just like back in the day in the ‘Big Apple’. for 7 years….. He has described himself as “stuck,” in and out of a “funk.” He has compared the present reckoning to moments of rootlessness in the city, when he last found himself out of work. Early polls and prospective opponents agree that Mr. O’Rourke, with his message of generational change and liberal-for-Texas politics, would enter the race as a top-tier contender, buoyed by a national network of small-dollar donors and an instinct for uplift and social media ubiquity. Well before his return this week to his former city — for an interviewon Tuesday with Oprah Winfrey in Times Square, heightening 2020 expectations — Mr. O’Rourke’s New York chapter has stood as the unlikely forerunner to his political rise, laying bare the unusual path that led him to national politics and the who-should-I-be self-reflection that has come to define his presidential deliberations. Then, as now, he appeared less concerned with political ideology than the pursuit of authentic experiences and a sense of community, an instinct that has frustrated some progressive voters who question Mr. O’Rourke’s policy convictions. Then, as now, he could swerve quickly from mawkish to mischievous — by turns a goofy extrovert and a lone wolf, withdrawing in moments of introspection. If there is a certain kind of New York story that successful people tell about themselves — the tenacious artists, grinding until they get discovered; the downtown capitalists, rat-racing into the One Percent — Mr. O’Rourke’s is not one of those. While past political figures, most memorably a young Barack Obama, found their intellectual moorings among the city’s thinkers and strivers, Mr. O’Rourke’s seven New York years (four at Columbia University and three after graduation) were, in his own telling, often an exercise in recognizing his own averageness. He loved music but came to see he was not talented enough to hit it big. He thought he might pursue publishing but struggled to break in. He was intimidated by the intelligence of his peers. Yet New York also supplied an early proving ground for the kind of personal appeal that would power Mr. O’Rourke’s ascent, showcasing a gift for gab and whimsy and binding him to a circle of friends who remain confidants…..
New York City population drops for the second year…..
Do NOT put Premium Gas in your vehicle if it doesn’t call for it….. The Mueller Report isn’t the first thing for most Democratic voters…. More than 1 million Americans have lost their healthcare coverage since 2016…. Joe Biden will announce he’s running for President next week…. The chances of Donald Trump being impeached are Slim to NONE…..